A cool career with hot potential! The need for skilled, well-trained heating, ventilation and air conditioning (HVAC) technicians is predicted to grow as energy costs rise, policy initiatives evolve, and more emphasis is placed on energy efficiency and sustainability. Concern for the environment and an emphasis on cost-efficient, energy-saving appliances will create excellent job prospects for HVAC technicians. A career in HVAC is recession proof as people will always need technicians to install, service and repair heating and cooling systems. 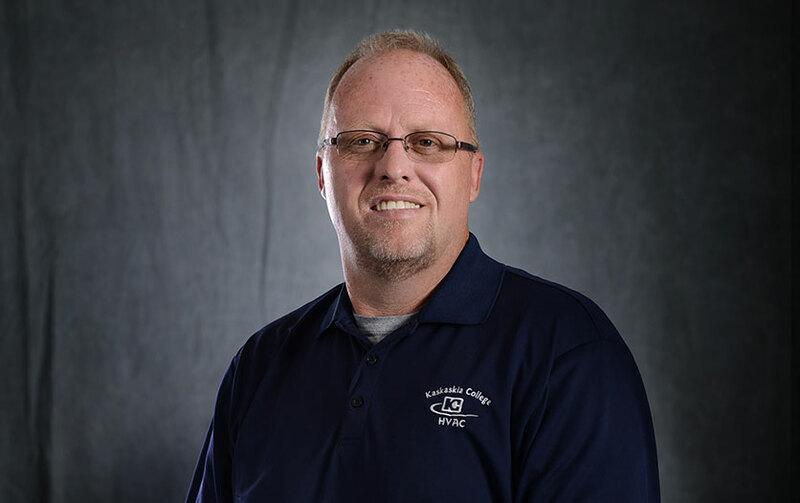 Kaskaskia College's HVAC program will train you in the installation, service and repair of residential and commercial air conditioning, refrigeration and heating systems. Through classroom instruction and hands on training you will learn the physical, mechanical, and chemical principles of refrigeration and air conditioning with emphasis on electrical controls and motors. You will also gain proficiency in blueprint reading, sheet metal construction, proper ventilation, installation, heating and cooling diagnosis and instllation of residential and commercial equipment as part of your training. KC's program is also accredited by HVAC Excellence, the premiere HVAC accrediting body in the US. This accreditation assures employers that KC’s graduates have received the best training in residential, and commercial heating and cooling and refrigeration equipment, and are ready to enter the workforce. Whether your looking for an entry level position in the field, or a HVAC professional wanting to enhance their skills, KC's HVAC program is designed to meet your career and training goals. According to the Bureau of Labor Statistics, Employment of heating, air conditioning, and refrigeration mechanics and installers is projected to grow 15 percent from 2016 to 2022, faster than the average for all occupations. Candidates familiar with computers and electronics and those with good troubleshooting skills will have the best job opportunities as employers continue to have difficulty finding qualified technicians to work on complex new systems. Kaskaskia College's HVAC program is accredited by HVAC Excellence, an independent, third party reviewer of higher education heating and cooling programs. Accreditation from this organization validates that a HVAC program is meeting established standards of excellence in the heating, ventilation, air conditioning and refrigeration industry.